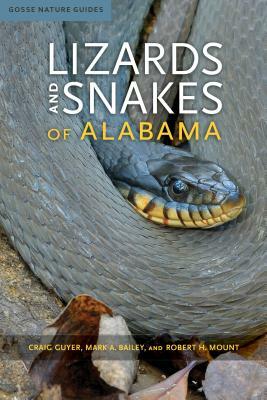 Lizards and Snakes of Alabama is the most comprehensive taxonomy gathered since Robert H. Mount’s seminal 1975 volume on the reptiles and amphibians of Alabama. This richly illustrated guide provides an up-to-date summary of the taxonomy and life history of lizards and snakes native to, or introduced to, the state. Alabama possesses one of the most species-rich biotas in north temperate areas and this richness is reflected in some groups of lizards, such as skinks, and especially in snakes. The authors examine all known species within the state and describe important regional variations in each species, including changes in species across the many habitats that comprise the state. Significant field studies, especially of Alabama’s threatened and endangered species, have been performed and are used to inform discussion of each account. The life-history entry for each species is comprised of scientific and common names, full-color photographs, a morphological description, discussion of habits and life cycle, and a distribution map depicting the species range throughout the state, as well as notes on conservation and management practices. The illustrated taxonomic keys provided for families, genera, species, and subspecies are of particular value to herpetologists. This extensive guide will serve as a single resource for understanding the rich natural history of Alabama by shedding light on an important component of that biodiversity. Accessible to all, this volume is valuable to both the professional herpetologist and the general reader interested in snakes and lizards. Craig Guyer is professor emeritus of biological sciences at Auburn University, with special focus on herpetology, tropical ecology, and biogeography. He is coauthor of Amphibians and Reptiles of La Selva, Costa Rica, and the Caribbean Slope: A Comprehensive Guide and Turtles of Alabama. Mark A. Bailey is senior biologist at Conservation Southeast, Inc., specializing in conserving the biodiversity of the Southeastern United States. He is coauthor of Habitat Management Guidelines for Amphibians and Reptiles of the Southeastern United States and Turtles of Alabama. Robert H. Mount (1931–2017) was emeritus professor of biological sciences at Auburn University and author of the seminal work in herpetology, The Reptiles and Amphibians of Alabama.